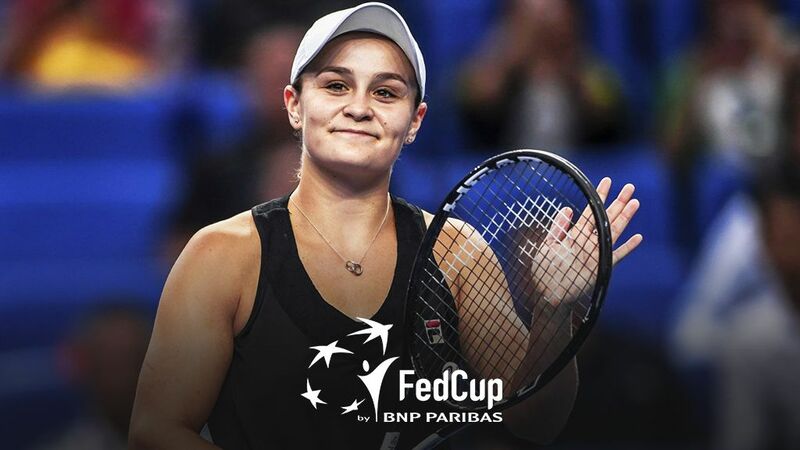 Ashleigh Barty will lead Australia’s World Group charge when they face Fed Cup 2018 finalists USA in Asheville, North Carolina, LIVE on 9Gem from 5.00am next Sunday, February 10 and Monday, February 11. Barty, now world No 13 after an impressive summer campaign where she became the first Australian female quarter-finalist at the Australian Open in 10 years, is sitting at a career-high ranking. She will be joined by Daria Gavrilova (47), Priscilla Hon (143), Kimberly Birrell (157) and Astra Sharma (160) in the five-strong Australian team. Gavrilova will aim to build on her Fed Cup form after sealing victory over the Netherlands in Wollongong last April. Priscilla Hon, Astra Sharma and Kimberly Birrell will all push for selection in the final four during the week leading into the tie. Sharma has been named in the Fed Cup team for the first time following a breakout Australian Open where she earned her first ever main-draw Grand Slam win and reached the mixed doubles final as a wildcard pairing with fellow Aussie J.P. Smith. She too is currently sitting at a career-high world ranking. Kimberly Birrell has also hit a career-high ranking following her incredible summer that culminated in a third round appearance at the Australian Open. Priscilla Hon rounds out the team playing off for full selection. Barty’s versatility will again be pivotal to the team’s success with her proven ability in both singles and doubles, and being the only player in the world with a top 15 singles ranking and a top 10 doubles ranking. Representing the US will be world No 17 Madison Keys, Danielle Collins (23), Sofia Kenin (37) and doubles No 13 Nicole Melichar. The Fed Cup tie by BNP Paribas World Group will be played at the US Cellular Arena, Asheville, USA. USA leads Australia 9-5 in their 14 Fed Cup clashes to date, with the USA defeating Australia 4-0 the last time the two teams met in 2016.